One night seven years ago, a WBAI radio announcer named Mike Feder had a dream about his late father, who was coming at him with a butcher knife and saying, “You’re not going to talk about me on the radio!” The next day Mike Feder told his listeners about that dream and about his father. The astounding response to his story launched him on a career that has made him one of America’s most valuable storytellers. Hailed for his weekly radio show and his frequent stage performances of his stories, Mike Feder has been compared to Woody Allen, Garrison Keillor, Philip Roth, Jean Shepard, and Scheherazade. 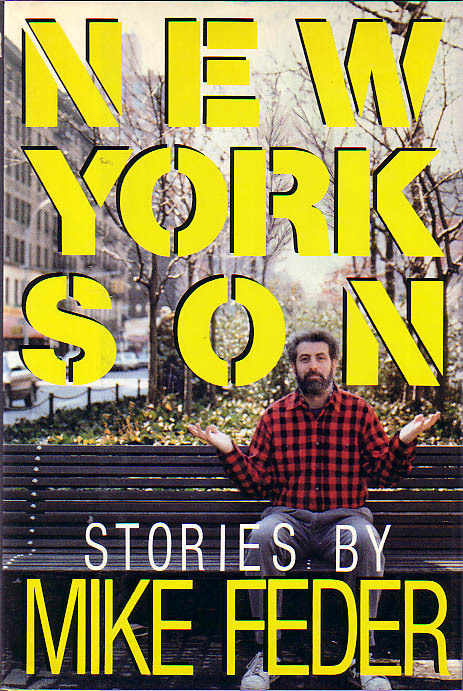 In the words of the New York Times, his stories “negotiate the frontier between hopelessness and belief, fatalbelief, fatalNow the funniest and most moving of those stories have been collected in New York Son. Mike Feder writes about growing up and growing wise in the world’s most complicated city. Turning his own roller-coaster life into the stuff of wit and fiction, he tells of life in Queens with a suicidal mother and a father who was as rough and peripatetic as Ernest Hemingway. His stories about his parents, and of coming to terms with their dark legacies, are triumphs of love and growth. In “Here’s Herbie,” another story of growing up, a retarded kid dares to pretend to “drive” a subway train in a way the uptight Mike Feder can only envy. “The Hospital” is a scary yet strangely tender story of Mike’s emotional slide some twenty years ago into a hospital psychiatric ward… and how he manged to climb back into the “normal” world of New York. “Marilyn” traces Mike’s twenty-five-year nonromance with a “bad girl” from his Queens neighborhood. 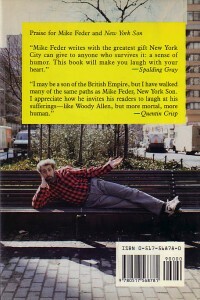 In the stories that round out the book, Mike comes full circle: The New York son becomes a New York father. Married, with two children, Mike endures work as a paralegal in a large law firm and in “Hollywood and Bust,” he makes it somewhat less than big as a screenwriter. New Yorker, romancer, raconteur, son and father–Mike Feder is al these things. 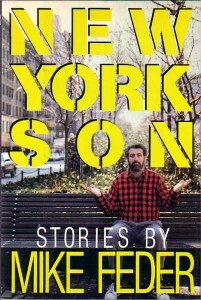 His stories in New York Son make up a handbook to the hard work of trying to be happy.